Today, several organizations are planning to convert their Instructor-Led Training (ILT) to online training (eLearning or mLearning). In this article, I highlight the top 10 benefits of converting your Instructor-Led Training to eLearning. 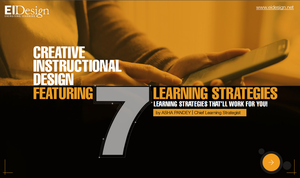 The triggers for conversion of ILT to eLearning or mLearning are many. The push is coming from learners on one end (who seek the flexibility of a self-paced eLearning training offers). Organizations see this as an option to reduce costs and reach out to a wider audience in a shorter time. 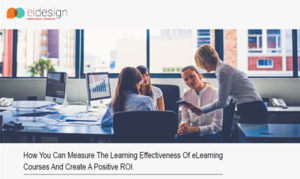 I am highlighting this important perspective because without going through this rigor during the conversion of ILT to eLearning, you will not be able to see the required benefits. The most significant benefit that organizations see is cost saving. With a one-time investment on the conversion of ILT courses to eLearning, the online training can be used repeatedly. It helps organizations save on the recurring costs of travel. as well as on the instructor fees. The second significant benefit to organizations is the potential of scalability that the online training offers. Now, they can reach out to the entire audience (spread geographically) with one version and at the same time. Unlike ILT, which heavily depends on the capability of each trainer, eLearning provides an identical and consistent message to all learners. Leverage new and emerging trends. 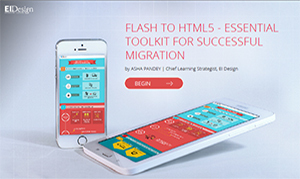 Provide the online training in multi-device format (across desktops, laptops, tablets and smartphones). A study conducted by Deloitte shows that an average employee can only dedicate 1% of their work week for training, which breaks down to 24 minutes in a typical 40-hour work week, or 4.8 minutes a day. You can overcome this challenge through Microlearning and using personalized learning paths to deliver exactly what the learner needs in the short amount of time they can spare for professional development. 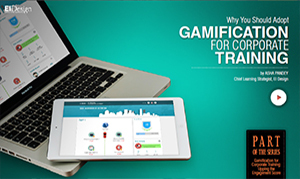 Use gamification elements to pump up learner engagement levels among the modern learner demographic and to encourage them to keep coming back. Supplement formal training with Performance Support Tools (Just-in-time learning aids) to push learning acquisition to application on the job. 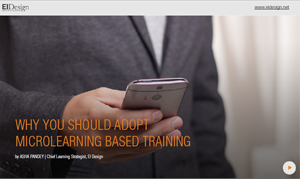 Show that adoption of online training improves training efficiency. Not only do the learners go through more training material (as compared to ILT), this is done in a shorter time with much lesser disruption to their time on work. Providing flexibility to the learner. eLearning is “learning on the go” and provides an anytime-anywhere access to the learners. This flexibility is the most significant benefit from the learner’s perspective. Providing control to the learner. 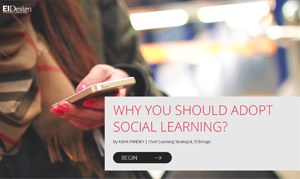 By definition, the eLearning approach is learner-centric. The self-paced core of online training empowers the learners and gives them control to take the training at their preferred time, on the device of their choice, and at the pace they are most comfortable with. This is not all; online training is always available to them should they need to refer to it or go back to refresh. As you convert ILT to online, you would find that the run length of the eLearning programs is much shorter (typically the reduction can be 50% or, in some cases, even to 33%). As a result, learners are spending much lesser time to achieve the same learning outcome. Unlike ILT session engagement that normally ends with the conclusion of the facilitated session, with online training, you can continue to engage the learner. After the primary training is over, you can create learning paths to offer reinforcement/remediation and supplementary learning nuggets. 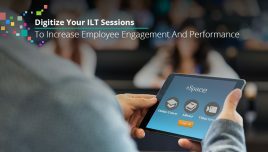 Several studies indicate the retention levels of eLearning-based training are significantly higher than those of ILT sessions. A study conducted by the Research Institute of America in 2014 showed that the retention rate was in the range of 25-60% for eLearning as opposed to a mere 8-10% for face-to-face training. 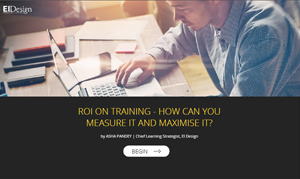 This value-add directly impacts the ROI of training. 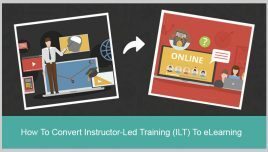 I hope this article provides the required insights on the 10 benefits of converting your ILT/Instructor-Led Training to eLearning. Check out our award-winning solutions and approaches to enhance the impact of your corporate training by booking a free demo/consultation, or you can write to me directly at apandey@eidesign.net.